Before I mention the books being reviewed, I should point out an important historical premise of the article. It is well known that esotericism as a field of academic research is, in its present incarnation, relatively young, and that it also carries with it a problematic heritage. Problematic first and foremost from a methodological point of view: among the early pioneers we count figures such as Henry Corbin, Mircea Eliade, and (the early) Antoine Faivre, who were generally working within a framework that has been described as “religionist”. Despite styling themselves historians, they were looking for the eternal truths, the transcendent realities, the spiritual enlightenment that they assumed had to be at the core of religions, hidden beneath their “external” and contingent vesture. They were, in a sense, creating esoteric discourse rather than analysing it; engaged in esoteric hermeneutics rather than historical-critical scholarship sensu stricto. They did so, moreover, under the influence of esoteric Traditionalism and interpretations of Jungian psychology, and typically saw their form of scholarship as a reaction to “reductionism”, “materialism”, or even “modernity” as such. Making an analogy to development of software technologies, Hanegraaff refers to this phase in esotericism research as “Esotericism 1.0”. It turned out to be not a very good operative system, however, and it underwent a serious upgrade about the year 1992. This is when Faivre published the first edition of his textbook, L’ésoterisme, marking a significant break from his own earlier style of research. Faivre underwent an “empirical turn”, more fully embracing the strictures of historical-critical methods while ditching religionist assumptions as the guiding principle for studying “esoteric currents”. What followed was the establishment of a new paradigm, “Esotericism 2.0”. Faivre’s new perspective became dominant, particularly his famous definition of esotericism as a “form of thought” identified by four intrinsic and two non-intrinsic characteristics (correspondences, living nature, mediation, transmutations + concordances, transmission). Arguably, it remains dominant today – sometimes even implicitly in scholars who claim to distance themselves from Faivre. Von Stuckrad’s introduction was important for challenging the dominance of Faivre, but has flaws of its own. The textbooks and introductions to Western esotericism reviewed by Hanegraaff all belong to a post-Faivrean “esotericism 2.0” framework – at least nominally. It begins with Kocku von Stuckrad’s Was ist Esoterik? 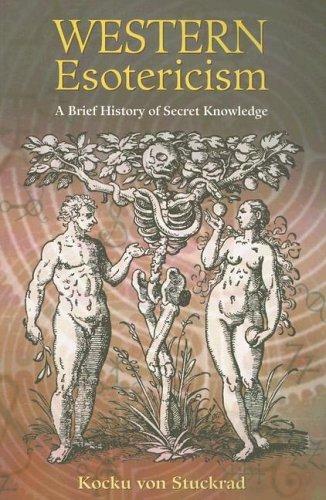 (2004) and its English translation, Western Esotericism: A Brief History of Secret Knowledge (2005), a book that explicitly aims to replace the Faivrean framework. Arguably, however, von Stuckrad did not properly succeed in doing so until a few years later, with the publication of his Locations of Knowledge (2010), where the implications of the discursive approach to esotericism that he suggests, embedded in a broader Europäische Religionsgeschichte, are taken to their full conclusion. A conclusion that implies, among other things, that there can be no real “history of” esotericism (seeing as “it” is construed as a conceptual tool for discourse analysis and not a signifier for any particular subject matter), and hence that writing an introduction to “it” is pretty much a quixotic task. Hanegraaff argues that there is an internal tension in von Stuckrad’s Western Esotericism, stemming precisely from the incompatibility of his methodological stance and the chosen task. The effect is that much of the work that is actually done in the book is still implicitly modelled on Faivre’s delimitation and description of the field, even though it is clear that the author ideally wants to take the field somewhere else (and eventually did). Versluis does not hide the “religionist” underpinnings of his work. Other influential introductory works that are reviewed include Arthur Versluis’ Magic and Mysticism (2007), Nicholas Goodrick-Clarke’s The Western Esoteric Traditions (2008), and the recent translation of the fourth edition of Antoine Faivre’s introduction, Western Esotericism (2010; French edition 2007). Unfortunately, Hanegraaff argues, all these alternatives suffer from serious weaknesses. Versluis’ book is dependent on old religionist assumptions about eternal, immaterial truths, and is so to speak stuck in “esotericism 1.0”. Faivre’s book is solid enough, but way too scanty, and suffers from a poor translation from the French. Goodrick-Clarke’s book may be the best we’ve got by way of introduction to the material, but has serious problems when it comes to methodology. Goodrick-Clarke’s book is probably the” lesser evil” – good prose, fairly representative for most periods, and fairly accurate in terms of factual details. It does, however, suffer from theoretical and methodological problems similar to Versluis’: Goodrick-Clarke conceives of esotericism as reflecting “an autonomous and essential aspect of the relationship between the mind and the cosmos”, and urges that one cannot understand “it” properly unless one is willing to adopt “a hermeneutic interpretation of spirit and spirituality as an independent ontological reality”. These are surprisingly candid confessions of a religionist methodology. One also has to suspect that it is due to following these principles that the author completely ignores writing about controversial topics where esotericism is linked, for example, to radical right-wing politics (a subject on which Goodrick-Clarke was an undisputed expert, but surprisingly left out from his introductory work), or where fraudulent techniques have been used to present esoteric “higher truths” (such as in the case of Blavatsky and early Theosophy). The problems arising in Goodrick-Clarke’s introduction is not so much with the material that is presented, but rather the subjects that are left out, the questions that are never asked. Nice cover, but stay away from the content if you want solid knowledge about esotericism. In addition to these books, which are the ones most likely to appear on an undergraduate course today, Hanegraaff also takes the opportunity to review a few books that are more marginal to the field, but still interesting because of what they reveal about its current situation in the broader academic and public landscape. 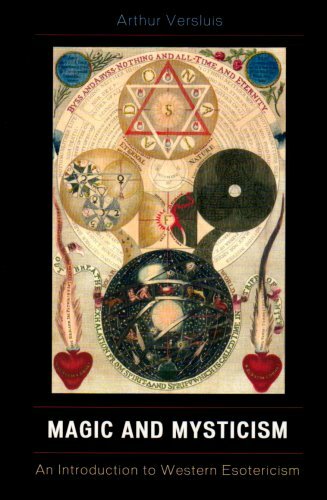 Thus we can read about Ulrike Peters’ short and popularising Esoterik (2005), which mostly equates “esotericism” with modern and contemporary “alternative spirituality”. 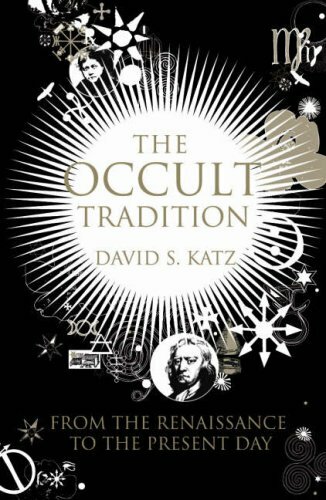 We read a (no doubt deservedly) shattering review of David Katz’ The Occult Tradition (2005), a book that, in addition to getting so much factually wrong also produces some baffling assumptions about “the occult” and “religion” alike. We learn that “the occult” is merely belief in “the supernatural”, and that such belief must be strictly separated from “religion”, for example. But then again, we are also told that Newton’s worldview was “teeming with esoteric secrets and occult mysteries”, and that Kant was an occult philosopher, so the author clearly has a rather “alternative” way of categorising the world in the first place. Hanegraaff also presents a complete demolition of another German work, Hartmot Zinser’s Esoterik (2009). Hanegraaff appears to find this book rather insulting, seeing that it is written by a professor of religious studies, but with a complete refusal to engage with actual scholarship in the field he has taken it upon himself to introduce. The book, as Hanegraaff observes, is rather an exercise in polemicising against “Aberglaube” (superstition) and irrationality – following no doubt the intuitive reflexes canonized in Germany by the Frankfurter Schule. It is curious that an established academic can still get away with this when the subject matter is esotericism. If Zinser had written an introduction to the study of Islam using Oriana Fallaci and Gisèle Littman as his main sources, the result would have been comparably disastrous form a scholarly point of view – but it would also no doubt have caused a flurry of reactions from his colleagues. What, then, is the conclusion of this extensive review article? Obviously, it must be rather disappointing. There is (still) no single satisfactory introduction to esotericism out there. The body of literature that exists points in all directions, has no unity in terms of definitions, and authors do not share even the most basic assumptions about how to go about studying esotericism in the first place. This verdict is somewhat similar to what Markus Davidsen recently found in his review article of a presumably state-of-the-art publication in the related field of “pagan studies” (see his article “What is wrong with Pagan Studies”, Method & Theory in the Study of Religion, vol. 24). In addition, it is apparently still possible for anyone who choses to do so to write utter nonsense about the field and have it published by an academic publisher. Those are all problems to be taken seriously. And they are the reason why Hanegraaff calls for another upgrade of the operative system: we need an “esotericism 3.0”. What will it look like? That is not certain, but a few things can nevertheless be said. We need to finally patch the religionism bug, and embrace (fully and completely) more robust methodologies that stand up to scrutiny from colleagues in neighbouring fields (this, I should add, is my view, and not explicitly put this way in Hanegraaff’s article). Secondly, we should not be content with isolating “esotericism” as an island of its own, where “weird” topics can be pursued, or “spiritual secrets” sought for their own sake. Bridges must be built to neighbouring fields, we must show how the subject matter of esotericism, as well as the theoretical debates we easily get into in this field, are of importance to such areas as religion, literature, art, history of science, history of philosophy, of politics and of ideology, even to economic history and certainly to social history. Unless esotericism 3.0 proves its relevance to the broader academic community, the field is destined to stagnate, and possibly perish prematurely. If it succeeds, however, future introductory textbooks to esotericism will be read in a broad spectrum of disciplines, as an essential part of our general understanding of Western intellectual and religious history. Hanegraaff’s review shows that the path there is still long, but hopefully the call for action can at least push us in the right direction. 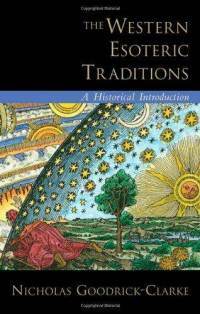 Reference: Wouter J. Hanegraaff, “Textbooks and Introductions to Western Esotericism”. Religion DOI:10.1080/0048721X.2012.733245. Thank you for linking to Davidsen’s piece. It had some very good points, but I was really hoping for a more robust critique there. That too was only a book review article, so naturally there is a limit to the scope. I think it opened up for discussing some very important issues though, and am frankly a little bit disappointed that it doesn’t seem to have been going around that much yet. Perhaps it will take some time after inseminating the minds of other scholars before we responses start appearing. As for Wouter’s article discussed here, I hope that bringing it out in the online community (through my own filter, obviously) might facilitate a faster reception. Yes! I hope so. And it does raise some very, very important issues that we need to have a conversation about, certainly with relation to Pagan Studies. So far the response from within Pagan Studies has been, sadly, dismissive of this piece. And thanks for putting this up here. I’m inspired to get going on putting down my own thoughts. Very much looking forward to seeing your thoughts on these issues in print! The discussion will continue, and that is the good news. It remains to be seen whether “esotericism 3.0” will be more than the beta version of an update of “WJH 2.0” (with the Grand Polemical Narrative bug removed from the program). I respectfully disagree that Goodrick-Clarke’s book fails as an introduction to Western esotericism. It claims to be no more than an introduction,and that is exactly what it is. To require that it be larded with theory and scholarly nuance (read “nitpicking and obsession with minutiae”, as Hanegraaff seems to wish, would remove it precisely from consideration as an introduction for beginning students in the field, and make it something else entirely. That is a fair point. Interestingly, though, WJH’s own textbook aimed to not give a full historical introduction but instead focus on thematic and topical issues. That is precisely one of the problems with it too as far as giving an introduction to newcomers.